Good riddance. They should have made Evans wear a hat all the time to cover the circumcision scar on his forehead. 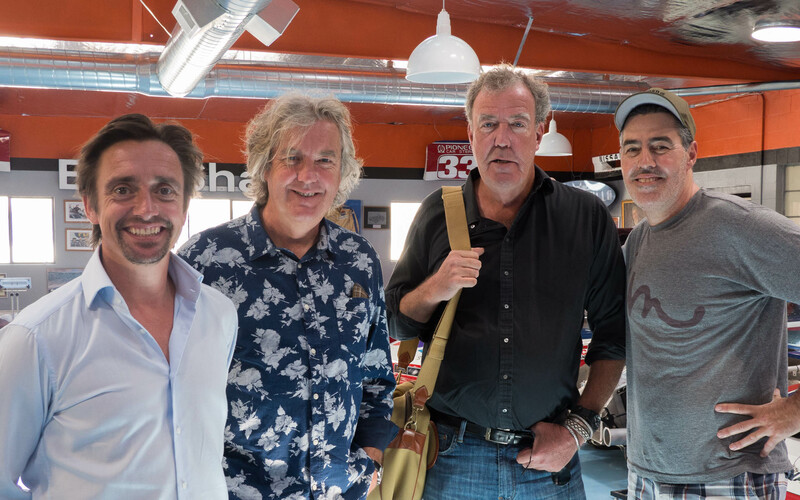 A little morsel - a few minutes from the unaired 'Hammond, Clarkson May' live event. I cannot wait for the three of them to be back on TV. Oh my... that looks really good. Grand Tour looks AWESOME. Still holding out hope for Top Gear UK to do something good with LeBlanc. I tried to get through episode 2 of Top Gear and Extra Gear. Just couldn't do it. Horrible. The Grand Tour on the other hand looks amazing and deserves its own thread rather being buried hear. Put him with Chris Harris and Rory Reid (they already ditched Evans; ditch Schmidt and Eddie Jordan along with him) and they'll be in decent shape on UK. Harris and Reid were very good and LeBlanc can do that job. I wouldn't call it dead just yet; they have some nice pieces in place and enough good will to let them gel. Agreed. Chris Harris is great. Rory was also good, but has a lot of room to improve. I used to watch these shows on pirated DVD's sold from afghani dudes while on tour. So good, and I am so pumped to see this.